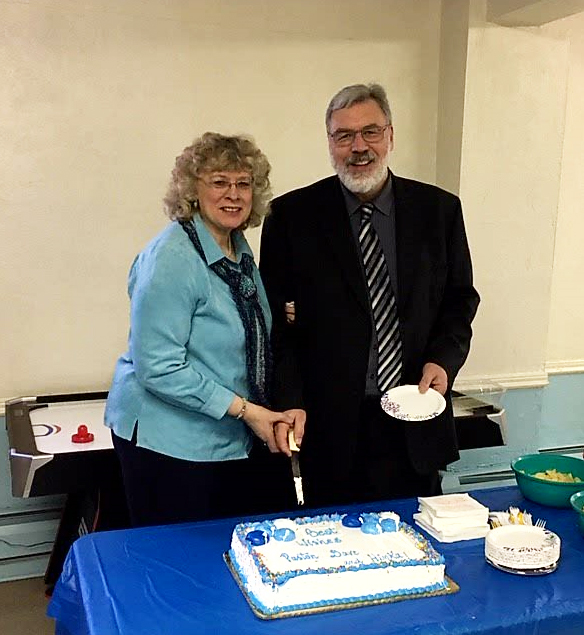 On January 6, the Garwood, NJ, congregation honored David and Hinka Gilbert on their retirement after 34 years of pastoral ministry. We all love them and thank them for their dedication and loving service in Christ and pray they experience every blessing possible as they follow Jesus into this new chapter of their lives. 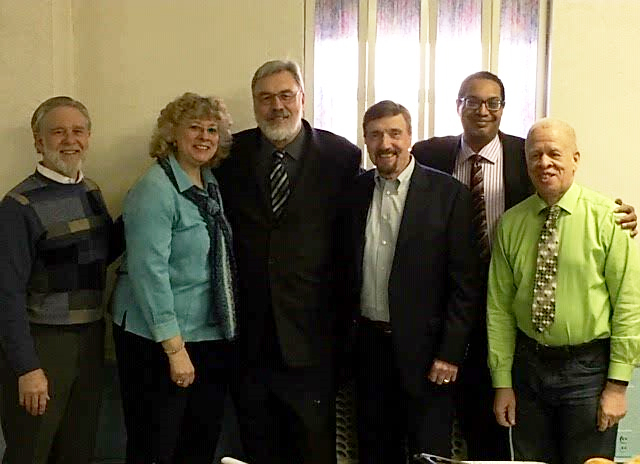 At the same time, the new pastoral team was installed by Randy Bloom, east regional director. The team includes John Adams, Richard Brothers, and Robert Tyson, Jr.
Randy Bloom, and Hinka and David Gilbert celebrate their new pastoral team: John Adams, Richard Brothers, and Robert Tyson, Jr. Thanks so much to you both for the love you have shown for God’s children all these years. I pray that the Lord may reward you in His grace with joy and peace as you continue to serve Him in new ways. Sharon and I want to express our thanks for your friendship through the years and a most blessed retirement. We love you guys. Dave & Hinka, God’s many Blessings to you in your retirement. May it be for you both a time for renewal and spiritual growth.